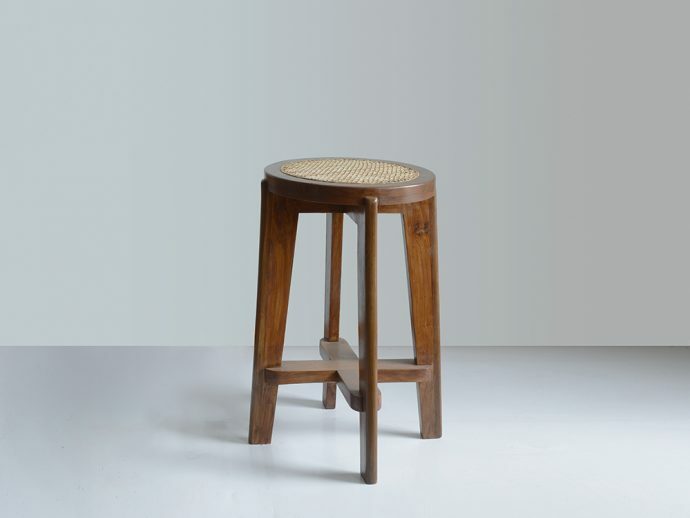 PJ-SI-21-B "HIGH STOOL WITH CANEWORK"
High round stool in solid teak and braided canework. Circular seat with teak and canework frame, ca. 1965. Solid teak, cane PJ-SI-21-B Hocker für Chandigarh designed together with Le Corbusier a new capital in Chandigarh. Great stools and stool.